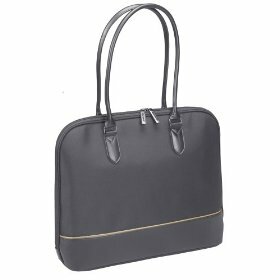 Ladies, cannot find an attractive yet classic business class computer tote bag? Now you have more choice and range of laptop carrying bag to choose from, with the new offerings from Microsoft, distributed via electronic retail and commercial channels such as Amazon. 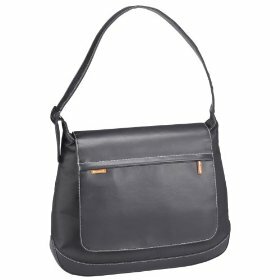 The laptop tote bag for female, in a series named as Monticello, Madison and Manhattan is in classic black color. 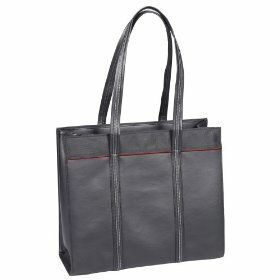 Although not as colorful as Windows Vista, the laptop carrying tote is stylish and designed in trendy professional style. The official laptop tote bag from Microsoft is manufactured by business luggages or cases, media storage, ring binders and sheet protectors manufacturer Samsill. All laptop totes focus on meeting the need of today’s digital lifestyle of females and corporate ladies. All Monticello , Madison and Manhattan range of laptop bag has protective padded sleeve that can hold laptop up to 15.4″ in size. Depending on which bag, most comes with media storage and accessory panel, additional zipped compartment, shoulder strap and etc.